Speaker 2018 - ANTONIO JIMENEZ, M.D. ANTONIO JIMENEZ, M.D. After completing undergraduate studies at the University of Dallas in Texas, Dr. Jimenez earned his Medical Degree from the Autonomous University of Guadalajara Faculty of Medicine in Mexico. 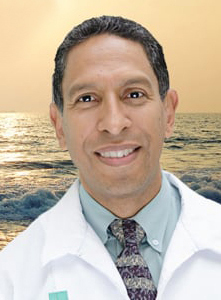 In addition to his academic medical education and training, Dr. Jimenez travels extensively and continues to explore Integrative Medicine and Oncology. He has attended workshops and symposiums, many as a speaker, in Europe, Canada, China, Thailand, Singapore, Africa, the United States, Mexico, the Caribbean and South America. An accomplished Practitioner and Clinical Researcher, Dr. Jimenez’ priority is aimed at preventing and reversing the adverse impact of cancer and degenerative disease. He is considered a leading authority in Alternative Cancer Therapies and implements specialized treatments including Sono-Photo Dynamic Therapy (SPDT). Dr. Jimenez is one of very few physicians trained worldwide in SPDT and has provided this unique protocol to hundreds of cancer patients. As the Medical Director and Founder of Hope4Cancer Institute, Dr. Jimenez brings 20 years of hard work and dedication to Alternative and Conventional Medicine. In addition to offering his multidimensional treatment approach to cancer, he promotes health and good healing in the deepest levels of the body, mind and spirit. Dr. Jimenez will speak on Hope 4 Cancer Institute, Sono-Photo Dynamic Therapy.